Other fillings are available: Frosting, Chocolate Bavarian, Fruit Mousses, Chocolate Mousses, Flavored Bavarian Creams, and so many more. Wedding cakes and large celebration cakes have a different pricing structure. Of course prices can change and some fillings will have an up charge. Our pies are full of Fruit, Cream, Chocolate, and Nuts. Each pie is 9 inches and are filled with about 2 pounds of fresh Apples or Cherries or Peaches. 2 pounds of our very best European Bavarian Cream fill each Cream pie and are offered in all sorts of wonderful favorites. Listed are just a few of our wonderful pies, if you have a favorite call us and we will bake one for you. We use the best ingredients and will not compromise quality, prices can change but our quality will not! I am so proud of our cookies, great wholesome flavors. We ship cookies all over the world, vacuum packed so they arrive unbroken and Fresh! If your party plans call for a lot of cookies, call and ask us about our volume discounts as well as our party boxes. Our cakes are 8" and are about 2" thick. Of course they can be baked in different sizes and are offered in and endless assortment of flavors. 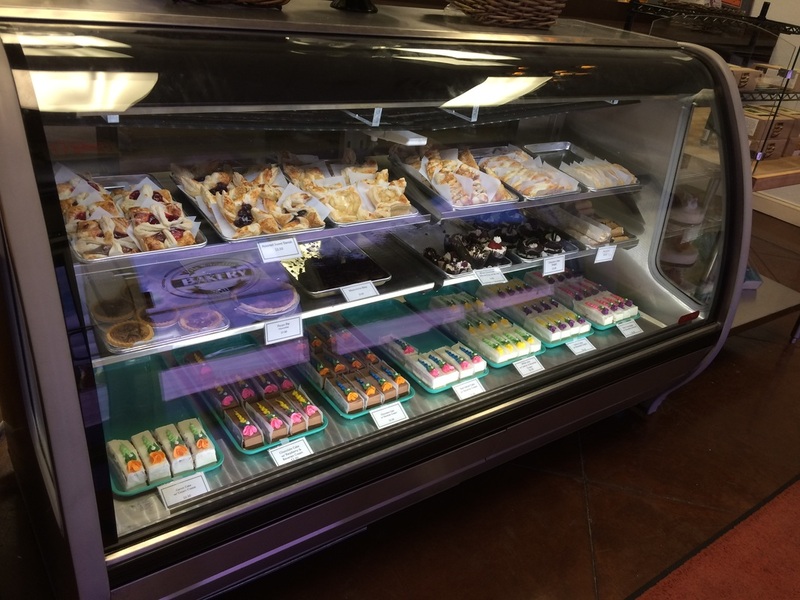 What an assortment we have, either filled with a delectable filling or just topped with our homemade Butter Cream our cupcakes are a perfect treat. Cupcakes are currently baked to order. Please give us two days noticed for your order. Cupcakes are a little bigger than your average size about 2 oz and top with our homemade buttercream and other fun decor goodies. Filled cupcakes are $3.50 ea Unfilled are $3.00 ea. Review our page about our fun Party Boxes and Theme Baskets. If ordering for a Birthday or Office party or if you would like a special Basket for a Baby Shower or Bridal Shower. We will build you a special box or basket to say have a good time and I love you. All Party Boxes and Baskets are created per order. The ones pictured are in the range of $50.00 to $75.00 dollars. We build them for any budget, call the bakery and talk to us about your thoughts. Banana Walnut, Blueberry, Pumpkin, Carrot, Lemon, Apple Walnut to name a few. Let us know if you have a favorite bread that is not listed and we will bake one for you. We offer a nice large loaf of bread, weighing at about 1 1/2 pounds. $9.00 each.